Last week was quite the emotional roller coaster. It’s still hard to believe it all really happened. I found myself glued to the news and twitter after the bombing happened Monday. Friday I woke up at four in the morning and my boyfriend told me they were on the trail of the bombers. I couldn’t go back to sleep or pull myself away from the news as Boston went into lockdown. It was pretty tough to focus at work Friday and get everything done before my trip for my company’s annual Convention this week. Friday night things took a turn and I started to feel some optimism. I volunteered at packet pick-up for the Crystal City 5k and was blown away by how awesome the running community is. So many people showed up wearing Boston shirts and colors and everyone showed up with a spirit that nothing could stop this community. When I got home it was back to watching the news, and I can’t even put into words how incredibly happy I was when they caught the second suspect. The many emotional tweets and blog posts I saw since Friday though show me that a whole lot of people were feeling the same way. 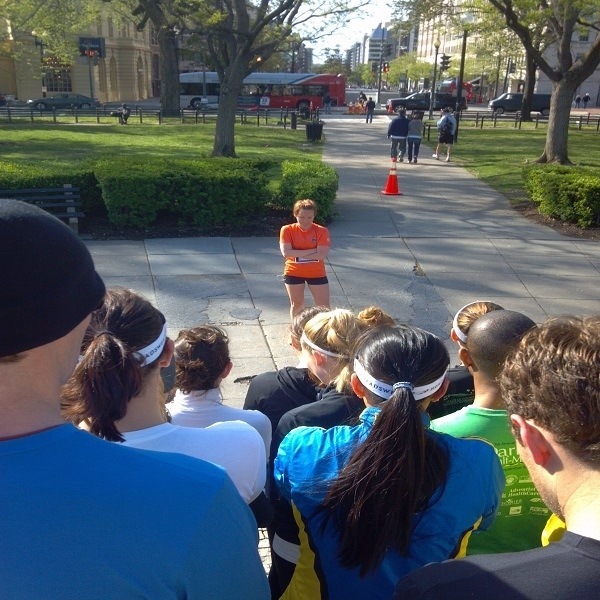 The DC Capital Striders organized several Runs for Boston including one I went to in Dupont Circle. The famous Kathrine Switzer quote circulated a bit last week: “If you want to restore your faith in human nature, go watch a marathon.” For runners, I think going on a group run does the same thing. On a selfish level, I needed this run and it did wonders for my heart. There was a huge turnout – many first timers to the group like me. 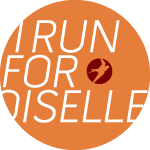 Baylee, the group leader for this run, had printed off race bibs in support of Boston for us all to wear. We started things off on a beautiful, sunny morning with a moment of silence to honor the victims. I met some awesome people along the way. One girl I met is running a local marathon in a couple weeks that I’m volunteering for and happens to be volunteering at the half that I’m running next weekend. She’s hoping for a BQ! I started struggling and probably would have really slowed down had I been on my own, but I paired off with another runner and we chatted away the miles and were done in no time. I love how easy it is to talk with and get to know people along a run that started out as complete strangers. It may have just been a single group run, but it made me feel so much better. I love the running community. 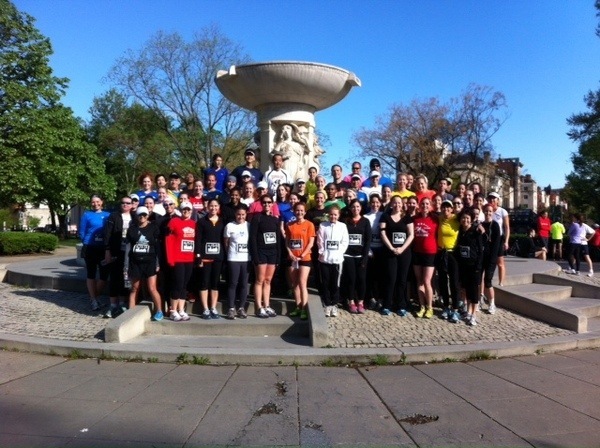 Big thanks to the DC Capital Striders for organizing Saturday’s run! I hope to join them for more group runs in the future. Pictures below were posted in the Meetup group by Baylee, the group leader, and Caroline, who blogs at IHeartRunning.com and runningbloggers.com.